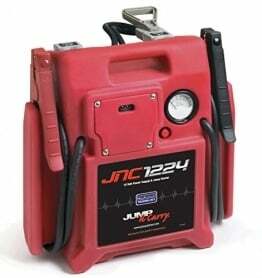 Schumacher’s PSJ-2212 ProSeries Jump Starter/Portable Power Unit has 2200 peak amps, 330 cranking amps and 275 cold cranking amps. 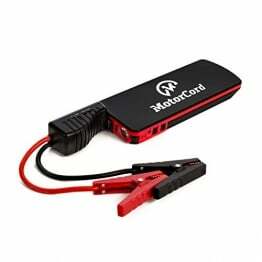 This is a power source for all 12 Volt DC accessories that are equipped with a 12 Volt accessory plug. Additional features include: 3 amp built in automatic charger, reverse hook-up alarm, heavy duty clamp with replaceable copper jaws, 4 gauge 50 inch cables, high impact rubber base and a durable polypropylene vented case for added safety. This Power Unit is great for camping, tailgating, power outages and much more. 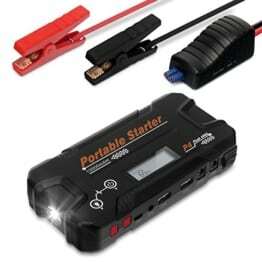 With this Jump Starter/Portable Power Unit you’ll never be stranded or without power again.